Here at Pavilion Dance South West it’s our aim to present as many exciting, exhilarating and varied opportunities for people to get involved and participate in dance. It’s what we do best! Here’s a quick overview of how you can make the most out of us this month. With over 40+ classes a week; we’d be surprised if there wasn’t something to get everyone up and active. From ballroom to African dance, yoga to burlesque, street dance to ballet, we have one of the biggest selection of dance classes on the South coast. With affordable prices and passport options, we’ll help you every step of the way to becoming one of our regular class members who benefit from the joys of an active, healthy lifestyle! Whether you’re after something light-hearted to entertain you, a thought-provoking experience or the opportunity to learn something new, we have something here for you at PDSW! Highlights still to come in our Spring season include DeNada Dance Theatre’s production of Ham and Passion, a tantalising and seductive feast of meaty dance soaked in a salsa of passion. If you’re looking for something more intricate, The Happiness Project by Umanoove/Didy Veldman takes inspiration from philosophy, music, body language and dance to investigate society’s endless search for fulfilment. Need something to inspire and entertain the whole family? Our family performances offer the perfect introduction to dance; packed with storytelling, exploration and the chance to just kick-back and have some fun. We’re really looking forward to Into The Water by Up & Over It, a beautifully surreal adventure of friendship and discovery. Brimming with rhythm, this is folk-filled fun for all the family by two former Riverdancers. We cherish our relationship with local artists, so that’s why we open up our exhibition space to showcase the fantastic work produced locally. It’s not unusual for us to invite artists into residencies, dance company rehearsals or special events, with artwork often crafted right under our roof. From photography to fine-art, we love to show off the beautiful works created. Current exhibitions: Harriet Muller & Peggy Cozzi. Unfortunately we can’t pay for everyone to fly over to Moscow, but we can offer luxury, opulence and extravagance with our Bolshoi On Screen programme. Grab your front-row seat and experience the world-class ballet right on your doorstep. With its wide-ranging repertoire of classic masterpieces and grandiose new productions, the Moscow stage comes direct to you by the sea. Our volunteers really matter to us! They help us out to make sure performances run smoothly, or flyer when we host our outdoor festival. We’d love you to get involved and help us too. As a thank-you we offer some free classes and performances. If you’re interested in becoming part of the PDSW team, please email: andrew@pdsw.org.uk. 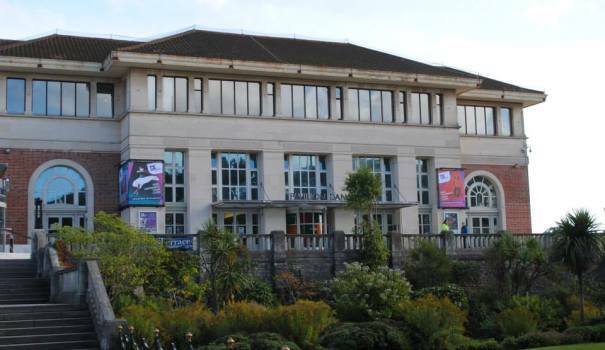 Our Bournemouth venue houses two fantastic, bright and airy dance studios and a 178-seater theatre space. If you’re looking for a unique venue to hold your performance or event then look no further. We’ve also just revitalised our parties offer! Now you can book the space for hen parties, children’s birthday parties or corporate team-building sessions, and with the new bolt-on we’re able to tailor your package to suit your needs. Create something special and truly memorable by choosing PDSW. Supporting PDSW doesn’t have to mean donating with little in return. We host some of the best events around; take for example Business Come Dancing or our new Vintage Tea Dance. Events like these mean you can have fun in search of new experiences, all the while supporting PDSW’s flagship projects like the Parkinson’s Dance class and our Children and Young Peoples work across the region. While you enjoy your time doing something exciting, your money goes towards helping improve the quality of life for people living with Parkinson’s or Dementia, helping to increase opportunities for frail or socially isolated elderly people, or supporting young, aspiring choreographers to make innovative, creative performances. You can secure the future of our work; the more you champion dance the more we can help improve the cultural provision for the region!